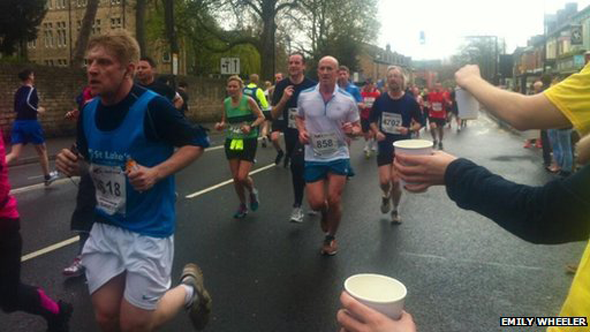 Sheffield's Half Marathon has been cancelled due to a lack of water for runners, organisers have said. There were chaotic scenes at the starting point as a "significant number" of the 5,000 runners decided to run the route regardless. South Yorkshire Police said it had initially tried to set up road blocks but later decided it was safer to let them complete the run. Organisers said they had been "let down" by the water supplier. "It is with huge disappointment and regret that we have been forced to cancel this year's race due to a problem with the delivery of water," organisers said in a tweet. 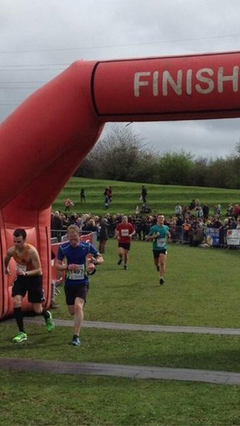 Insp Neil Mutch, of South Yorkshire Police, said: "We attempted to convince runners not to carry on, but decided it was a lesser risk to let them run the race." Insp Mutch said the road closures that had been designated along the route were still in place and competitors were not at risk from traffic. Margaret Lilley, chair of the race organisers, said: "We had a problem with the supply of water. "The company we had asked to supply bowsers for the route did not arrive this morning. "We have scoured supermarkets around the city, but unfortunately we have not been able to secure enough water for the medical-and-safety officers of the race to say it is safe to go ahead. We therefore took the very reluctant decision to cancel the race." Ms Lilley added: "Runners had waited half an hour or more to start. When we made the announcement the runners decided that they wanted to race anyway, and all 5,000 of them set off." 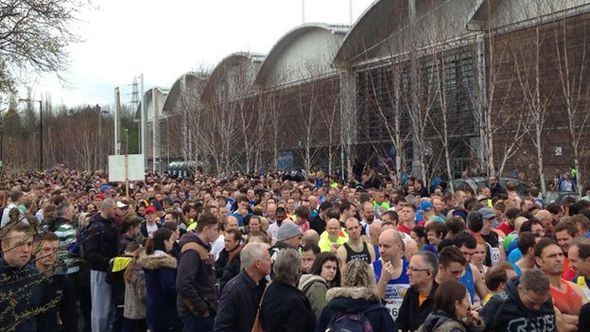 Many runners stopped when they realised the race had been cancelled but a large number decided to carry on. Peter Novodvorsky, of Sheffield, who was there to watch the race, said there were chaotic scenes. He said: "The organisers announced the cancellation through a loudspeaker, which was not loud enough at all. "When people started running anyway, I suppose many people at the back thought the race had started." BBC Radio Sheffield said that Toby Spencer, from Solihull, was the first person to cross the finish line at Don Valley Bowl. He said it was his "first and last race here". Charlotte Sidwick, editor of the S5 Observer, a community newspaper in the city, said she thought thousands of runners had decided to complete the race. She said she bought water from Subway to hand out to them. She added: "Kids are handing out sweets, and runners are sharing water as they pass each other in the loop section of the race."